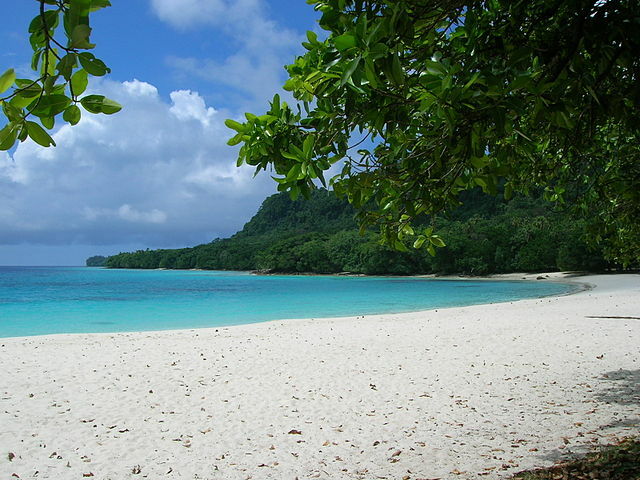 Perhaps an even less well known destination in the South Pacific is Vanuatu, formerly known as New Hebrides. 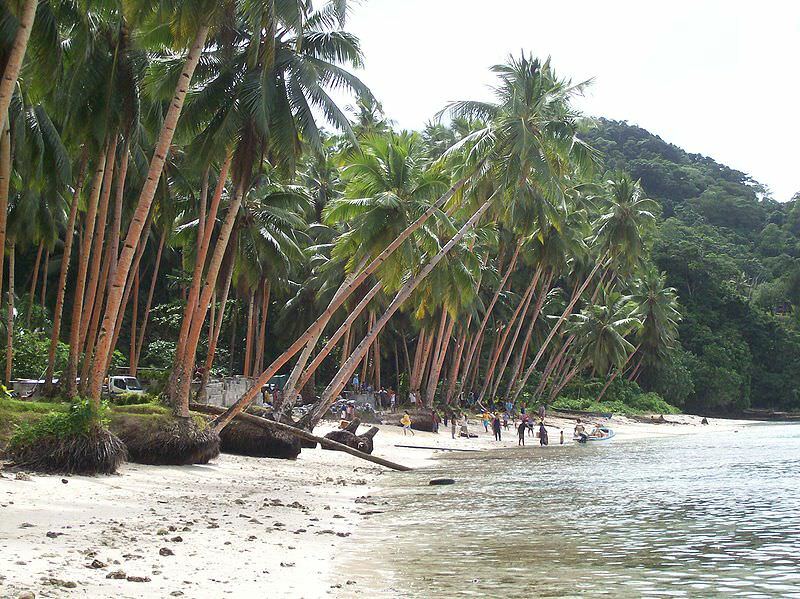 One of the largest islands is Espiritu Santo (Santo), was a base for the US operations during World War II. Many remnants from the war are still quite evident from the famous wreck of The President Coolidge to the multitude of coca-cola bottles remaining. Vanuatis comprised of 82 islands of volcanic origin offering beautiful white sand beaches, crystal clear fresh water lakes and lovely coral reef. 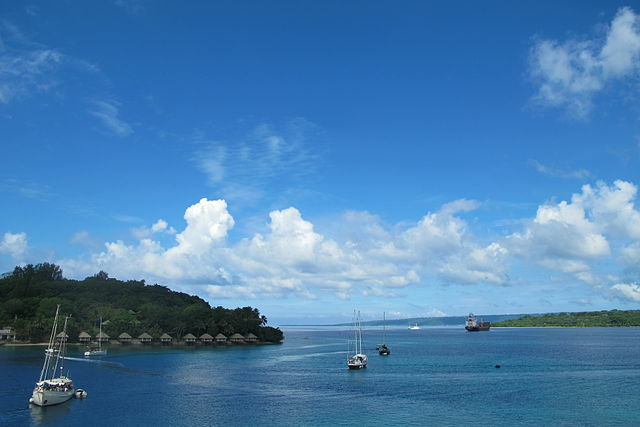 The famed Bali Hai of Michener’s Tales of the South Pacific is one of the enchanting and mystical islands found in Vanuatu. 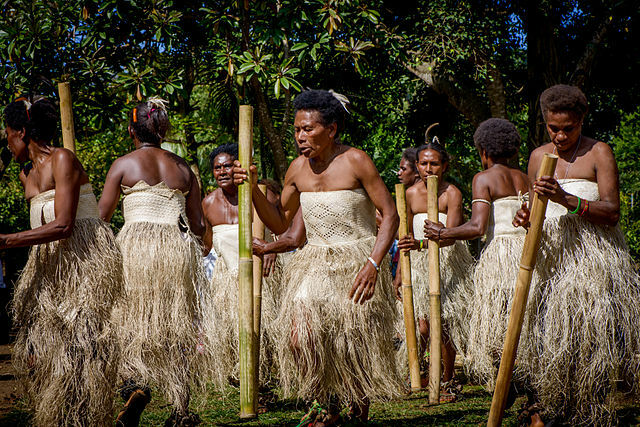 It is also home to such interesting cultures as the people of Pentacost Island, who are the original bungy jumpers and Tanna Island with the world?s most accessible active volcano and the John Frum Cargo Cult. 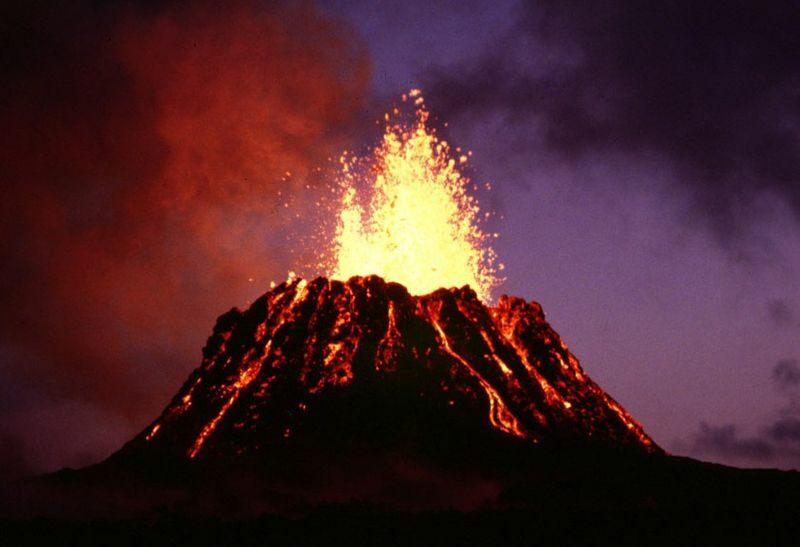 One of the most heart stopping, awe inspiring experiences is on Tanna Island and a tour to Mt Yasur, the volcano. You can actually hike to the very rim of the volcano. Peering over the rim of the crater, there are several pools of molten lava. Then the ground rumbles. And you feel it through every part of your being. Smoke builds in the crater, the rumble tuns into a roar and then the eruption. Red fire spews hundreds of feet into the sky, illuminated against the black of night. You jump back, sure the lava will land where you stand, only to creep forward and peer over the rim once again. 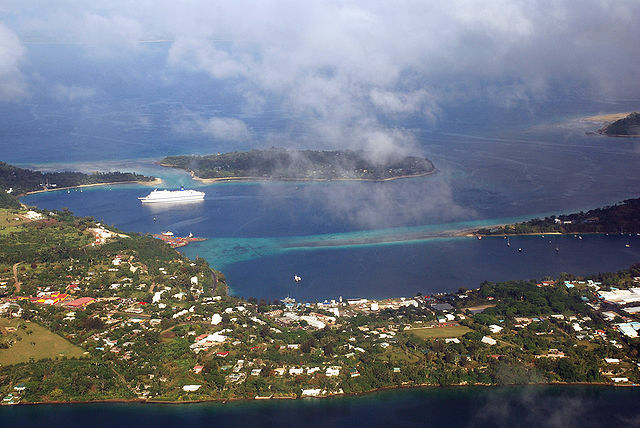 Port Vila is the international gateway for Vanuatu and is the more developed of the islands. There is a wide range of accommodation from the overwater bungalows at the Meridien, to the convenient Kaiviti Village Motel, to the offshore resorts of Iriki Island, or Hideaway. There are great restaurants, nightlife, shopping and activities such as sailing or snorkeling cruises and even golf. Diving, of course, is another attraction of the country. There are dive operations associated with most of the island resorts, as well as an in town operator that is a full service PADI facility. For more serious divers, however, a visit to the island of Santo is recommended. Any serious wreck divers will want to spend several dives on the President Coolidge. 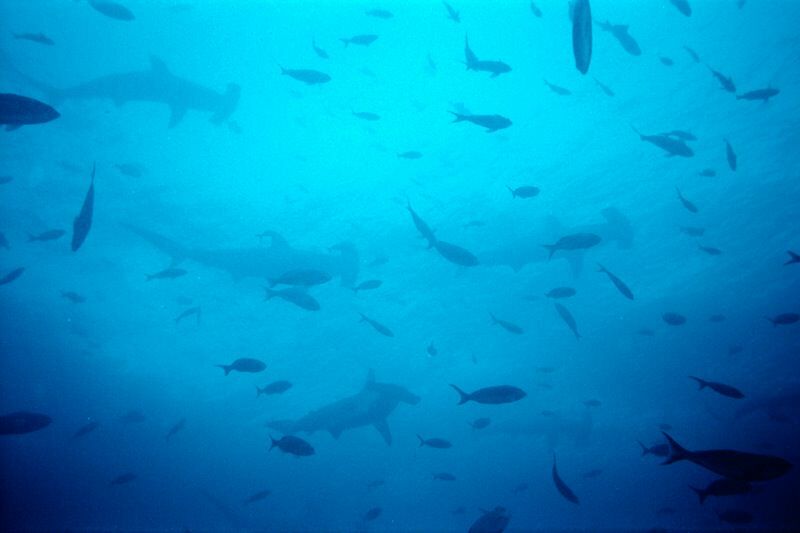 The ship is easily accessible and offers many different dive profiles due to its sheer immensity. Be sure to include a dive to see The Lady, located in one of the mainÂ chambers of the wreck and easily penetrable. Other dive sites include Million Dollar Point, so named due to the value of the equipment found at the site. 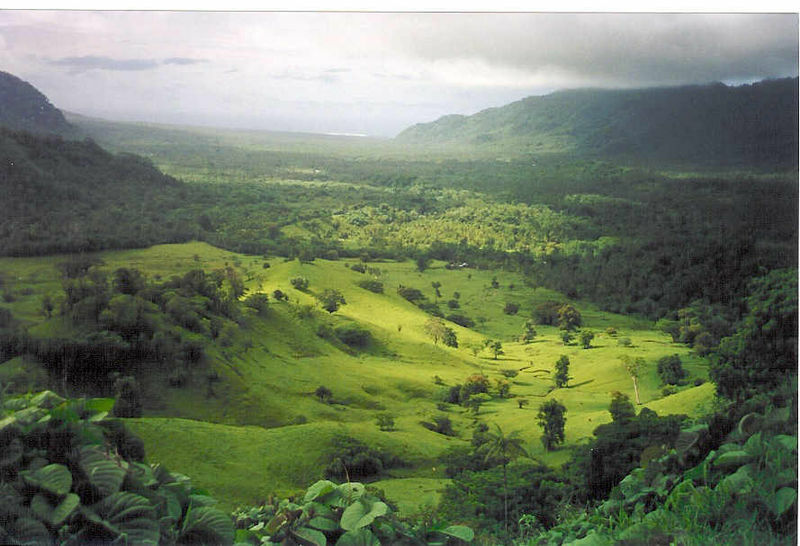 When the US pulled out of Santo at the end of the war and the government of Vanuatu would not (or could not) purchase the equipment that was brought, the US bulldozed it all off the point of the island into the ocean. And there it remains; a garbage dump that provides an interesting discussion, if not a dive. Santo Island has a few properties and nearby island resorts from which to base and exploration of this island has much more to offer than just diving. There are the beaches, the blue lakes, the underground caverns, the history and the culture. Another unforgettable experience is a visit to the native village of Tanafo. Meeting with the people living off the fertile land in traditional homes with their traditional culture and many with leaves for clothes is incredible. The warmth of their smiles and friendliness to the strange people with flashing cameras is a memory to always carry.